The total amount raised for charity by the LVIS Audaxes since they started in 2010 is £24,802.37. 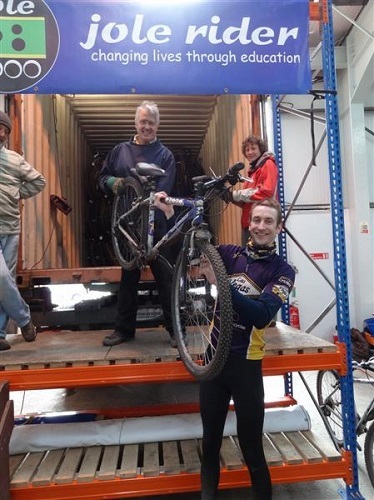 With some of the money collected from the 2012 event we sponsored a bike to be sent to The Gambia by Jole Rider (Bikes4Africa). 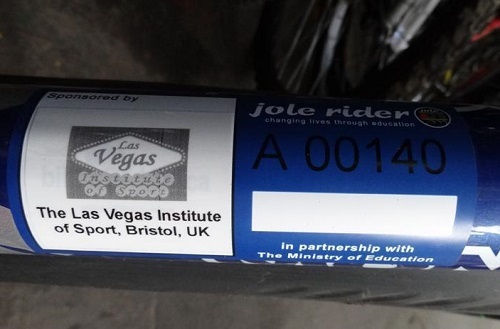 Marcus and Kirsty visited the Jole Rider HQ in Tetbury to help load the bike and add some LVIS stickers for the lucky recipient at the other end to be the envy of their classmates! By riding a bike, children in the Gambia are more likely to get to school on time and will be refreshed and alert throughout the day and even stay for extra lessons before travelling safely home in daylight. The result is a measurable improvement in academic achievements.